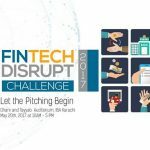 Karandaaz Pakistan, in partnership with IBA AMAN Centre for Entrepreneurial Development (CED) announces the FinTech Disrupt Challenge 2017. The purpose of FDC 2017 is to invite the most innovative ideas from all over Pakistan working in the financial technology space in an attempt to win as much as $100,000 in funding. In FDC 2017, grants will be given to the start-ups having high growth potential and innovative financial technology solution. Ideas that focus on greater access to financial services to women are encouraged. – Support innovation in the FinTech space to enable greater financial inclusion. – To identify and support best and innovative practices in terms of digital payment solutions. – Provide success stories and examples of new payment mechanisms. The final challenge will take place on 20th May, 2017 at Ghani and Tayyab Auditorium, IBA Karachi. The deadline to submit applications for the challenge is 9th May, 2017.